Another week has flown by. It has been great to see so many of you at a variety of events and meetings. The variety of issues, numerous speakers and vast range of attendees means no day is ever the same and I believe we always learn something new. A summary. BEI hosted an event on the effects of the 2017 Caribbean hurricanes and the potential opportunities that may flow from the resulting reconstruction for UK business. Providing a viewpoint from those directly affect were: HE Ms Karen-Mae Hill High Commissioner for Antigua and Barbuda, Mr Benito Wheatley UK Representative for the Government of the British Virgin Islands, and Ms Nakinda Daniel from the High Commission for Dominica. Moving east our Middle East Access Group held a MENA Outlook for 2018 session with Ollie Cornock from Oxford Business Group and John Hamilton from Cross Border Information. Their conversational approach ensured that the meeting delivered insights, tackled difficult issues and provided a forum for audience participation. The event was followed by the Saudi Britain Joint Business Council Annual Networking Reception. We were delighted to welcome Baroness Symons, UK Chair of the SBJBC, and an Advisory Board member at Strategy International. 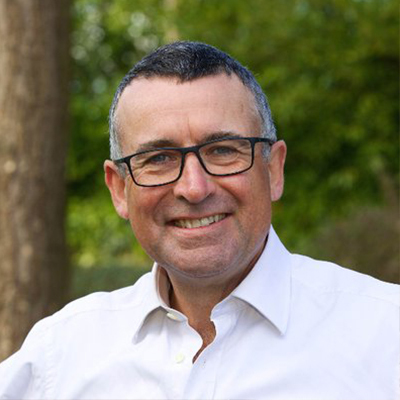 On Thursday Bernard Jenkin MP, Chair of the Public Administration and Constitutional Affairs Select Committee, gave an insightful and thought-provoking talk on the capacity of the Civil Service to handle Brexit in addition to all their other challenges. As a keen Brexiter he accepted that he was coming from a particular stand point but he demonstrated a willingness to see both sides of the debate. Also, soon to share his views is John Manzoni, Chief Executive of the Civil Service, who I’m sure will have strong opinions on the subject. These meetings represent just some of our on-going programme of hosting senior Government Ministers and Secretaries of State who are all having to deal with the Government’s main effort of Brexit, in addition to running their own Ministries. We hope you will be able to join us as we host many of their colleagues over the next few months. Members can now book events via this website or using the Pro forma which has been despatched with a new look and feel, and finally, moves into the modern age with on-line registration! Bringing the week to a close, our Chair, Peter O’Kane, whilst in Dubai on Wednesday, visited Arab Health, the largest global health sector conference. He reports a pretty impressive array of advanced UK medical equipment manufacturers and medical software developers and in particular impressive showings from a number of the cities, and regions where D Group will be holding events later this year, notably Leeds, Sheffield, Newcastle, the Midlands and all the devolved administrations.